From soccer to sales: Griffiths' journey from one pitch to another | Commo. Brent Griffiths (right) playing for the Central Coast Mariners in the Asian Champions League. With any career change comes a re-evaluation of goals, but it is often not as literal as in the case of Brent Griffiths. 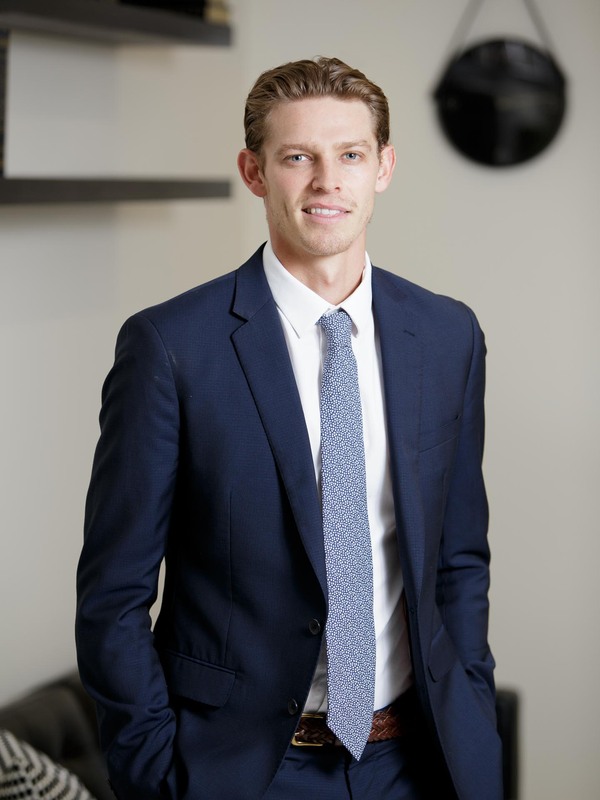 Mr Griffiths started as a sales and leasing consultant at Burgess Rawson this month, following two years at ProProperty Group. Prior to that, he had a successful career as a professional footballer, spending time at Perth Glory, Wellington Phoenix, The Central Coast Mariners, and FC Penang before retiring from the top flight in 2016. While there may not seem like much of a crossover between the world game and the real estate industry, the defender said his journey to a new profession was intertwined with the sport. "Back when I was playing, the Professional Footballers Association of Australia was actively getting players to work in real environments," he said. "There was a program where you could do a paid placement in a field of your choice. "My family had always been in property development throughout Perth, and the old Perth Glory owner helped put me in touch with someone from the industry." After completing his placement, Mr Griffiths was immediately offered a job, officially starting with Pro Property in 2017. The beginning of his real estate career had followed a stint in Malaysia, where he took to the field for FC Penang. The 28-year-old said going from football to commercial real estate coincided with a desire to settle in to a more stable lifestyle. "A footballer's life is very much transient and you have to be ready to go anywhere," he said. "I probably travelled to more than 30 countries during my playing career, some of which I couldn't even name now. "Commercial real estate was an opportunity to have some stability, while also setting up some roots in my home town." While Griffiths has enjoyed personal milestones in the past year - he welcomed a baby girl in December and married his partner last month - there has been challenges from a professional standpoint. The West Australian property market has been at the mercy of a post-mining boom economy in recent times, with a slump in population growth met with falling house prices. As someone new to the industry, Mr Griffiths admitted it took time to adjust to the ebbs and flows. "One of the big surprises for me in real estate was the turn of the market and having startups and other businesses move to growth areas. "As a footballer, I got used my work rate being reflected in how exhausted I felt." With this month marking another chapter in his post-football career as he heads to Burgess Rawson, Mr Griffiths said he was excited for what lay ahead. "I've really enjoyed being at a boutique agency throughout the past two years, but I am looking forward to going to a bigger company and seeing a different structure in actions," he said. "I think I am definitely ready for that step."